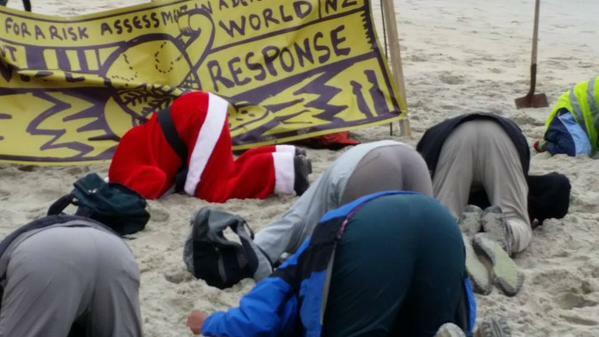 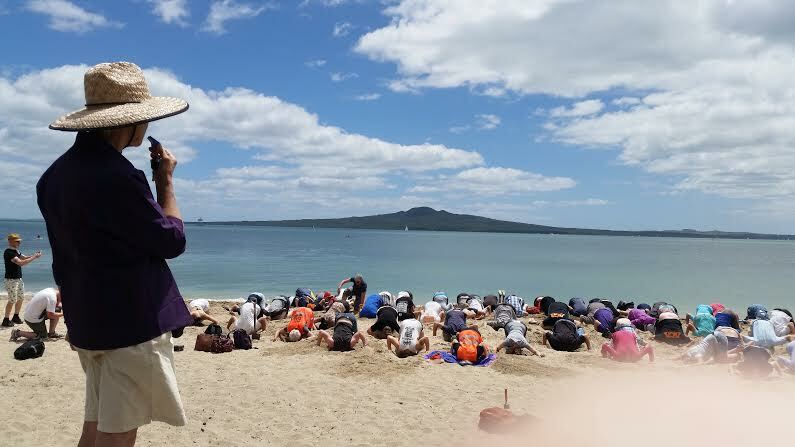 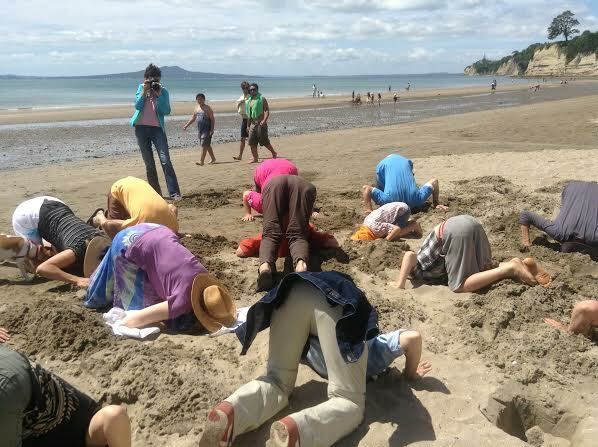 Yesterday’s Heads in the Sand events were a great success. 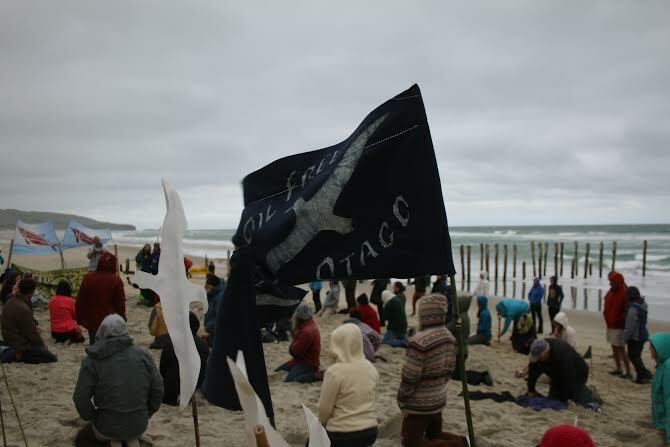 At 12 beaches from Invercargill to Ahipara, hundreds of New Zealanders – possibly a thousand all up – gathered to send an unambiguous message to John Key’s Government, Climate Change Minister Tim Groser and the New Zealand negotiating team at the Lima climate talks: get your heads out of the sand, take real action on climate change, and stop blocking other countries’ efforts to reach agreement on action. 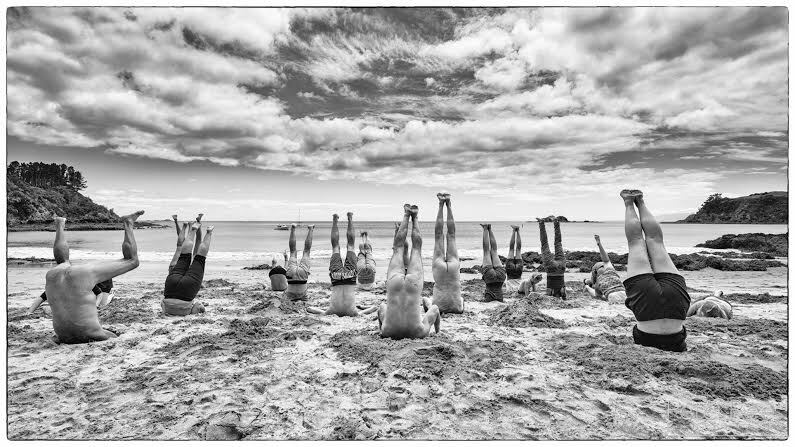 You can read about the reasons for Heads in the Sand and see yesterday’s selection of images. 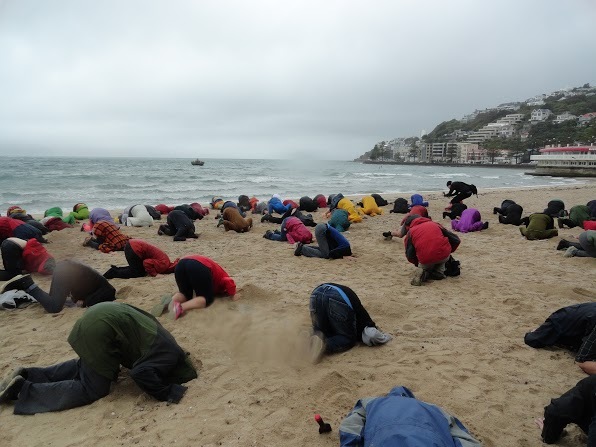 Here is some of the excellent coverage of the event, plus a further selection of photos – this time, going south to north. 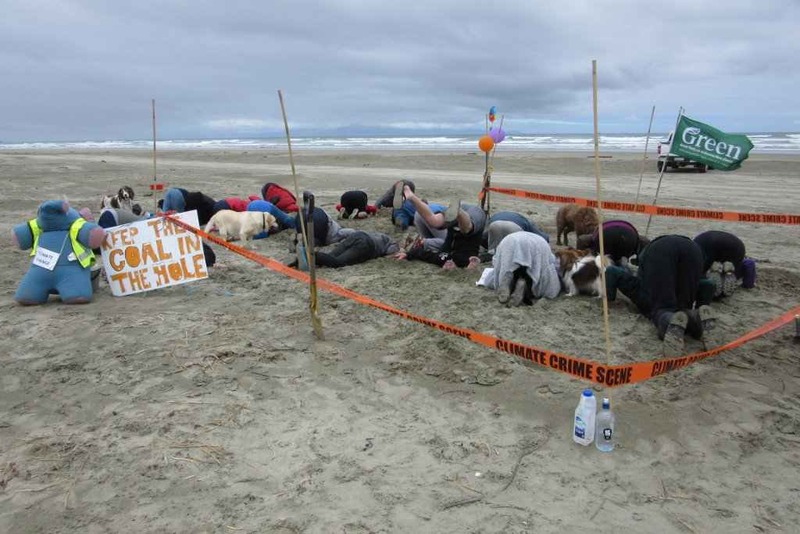 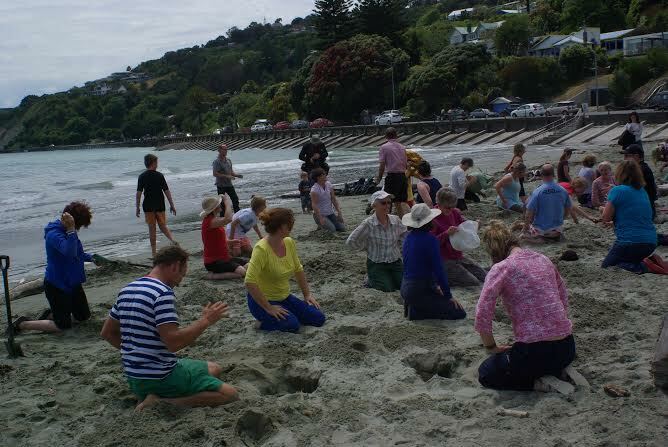 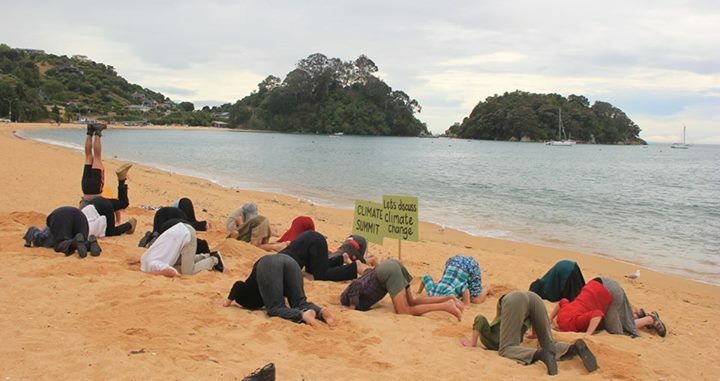 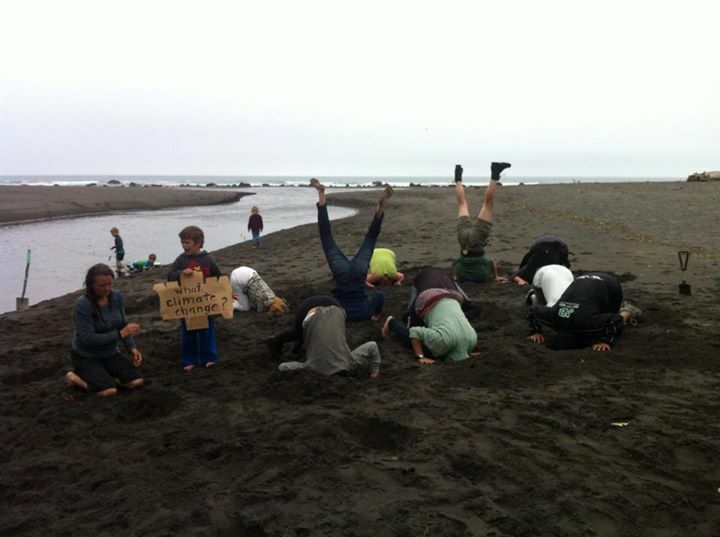 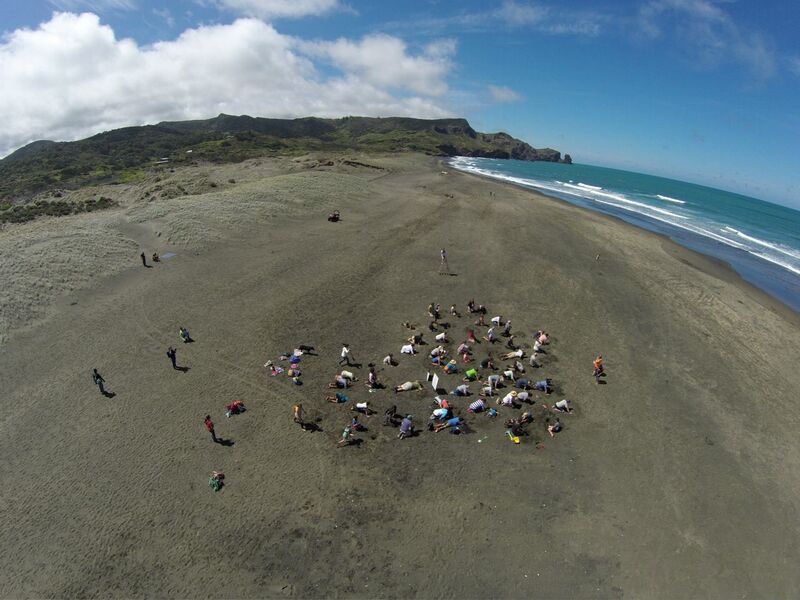 UPDATE: NZ’ers in Lima for the climate talks weren’t near a beach, so they did this instead!